BRIDGETOWN, Barbados (BGIS) — Haiti, Suriname and Guyana have been identified as three Caribbean Community (CARICOM) countries ripe with opportunities, and Barbadians have been encouraged to position themselves and their businesses to penetrate these markets. 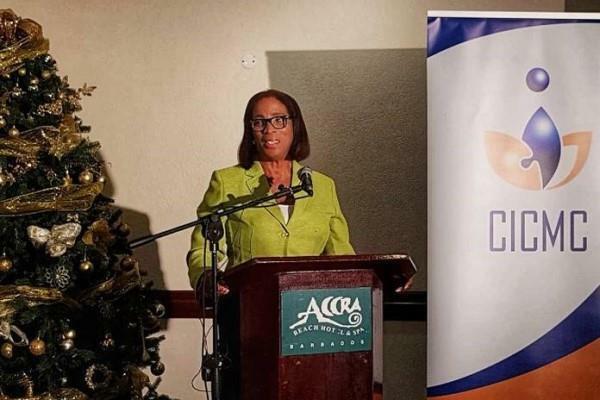 Minister in the ministry of foreign trade, Sandra Husbands, shared this advice on Tuesday, during a workshop held by the Caribbean Institute of Certified Management Consultants (CICMC) on the ISO 20700 Standard in Management Consultancy Services. She noted that Barbados and the region must make 'an upward turn to improve the quality of its goods, services and competitiveness' in order to penetrate global markets, near and far. 'More and more, there is a shrinking space within which we operate. International agencies and bodies and organizations constantly erect barriers, change rules [and] change requirements that continue to squeeze the space for small nations to earn a living. 'We are globally integrated into the world economic system. Unless we are able to connect and participate in the global system, it would be extremely difficult for us to raise the resources and build economic development by simply operating in a narrow 166 square mile space,' she said. Labelling Guyana as 'the star of the Caribbean', Husbands pointed out that it was set to start pumping oil in 2020, and plenty of opportunities abound in the under-populated South American country. 'Guyana is the size of England. England has over 62 million people while Guyana only has 750,000. It means that, as President Granger said, they could absorb every single person who lives in the Caribbean into Guyana and still don't have enough people to carry their growth. That is the height of the opportunity that is available because they will need skills [and] they will need service providers to help them build out the opportunities which are being presented to them in the form of their oil findings… This will bring tremendous wealth and opportunities into the Guyana space,' she said. The minister also identified Haiti, which was home to over seven million people, as another prime market. 'Most people think of Haiti of just being poor, but business is still happening in Haiti. Haiti is now being properly integrated into the CARICOM family. Work is being done at the moment to help them be involved in the Common External Tariff and be able to meet the Terms of Origin. But, as a nation that is seeking to grow, it has needs for both goods and services to be able to catch up with the rest of the region,' she insisted. Husbands told the regional management consulting group that they needed to be ready to help Guyana and the other countries prepare their enterprises. 'Not that they lack people with skills in terms of the quality of their work; they simply lack the numbers that would be necessary to convert that opportunity into real economic growth,' she explained. She added that there would be a need for management consultants to examine the availability of opportunities and to determine what needed to be put in place for businesses to seize these advantages.